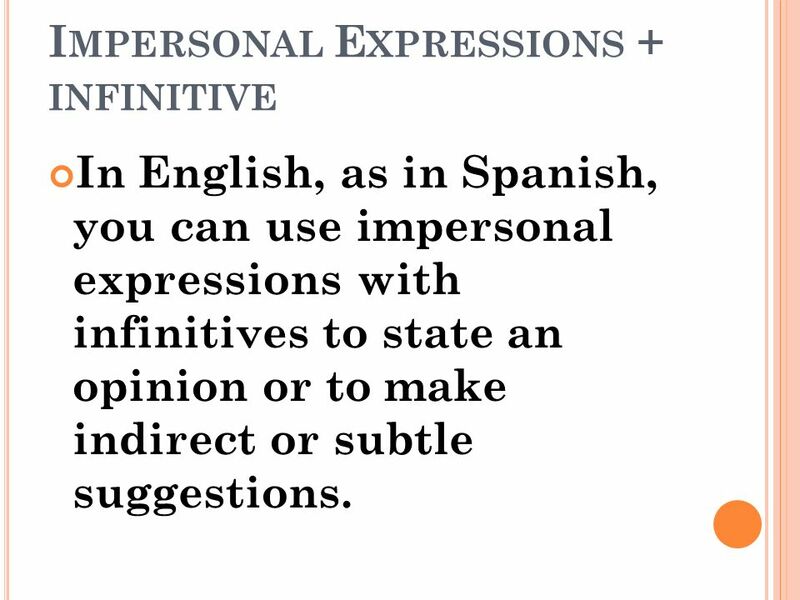 In English, as in Spanish, you can use impersonal expressions with infinitives to state an opinion or to make indirect or subtle suggestions. It’s important to tell the truth. 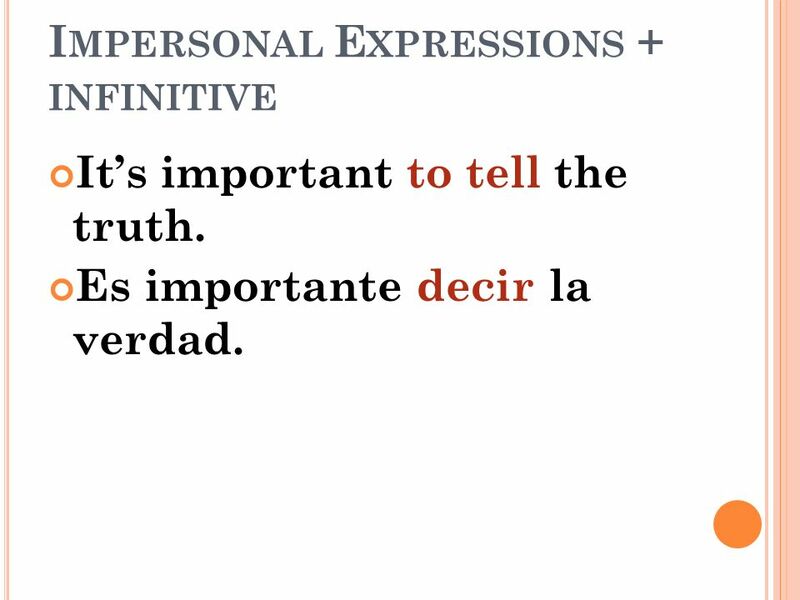 Es importante decir la verdad. 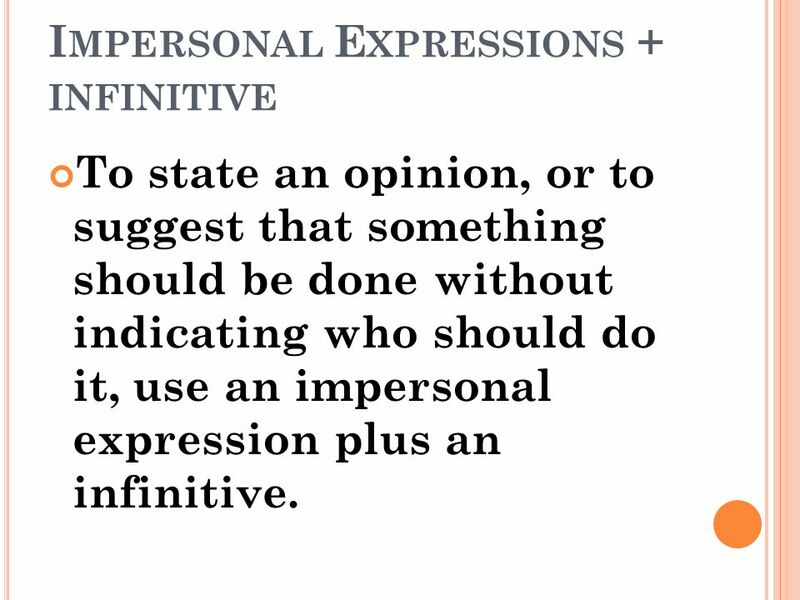 To state an opinion, or to suggest that something should be done without indicating who should do it, use an impersonal expression plus an infinitive. 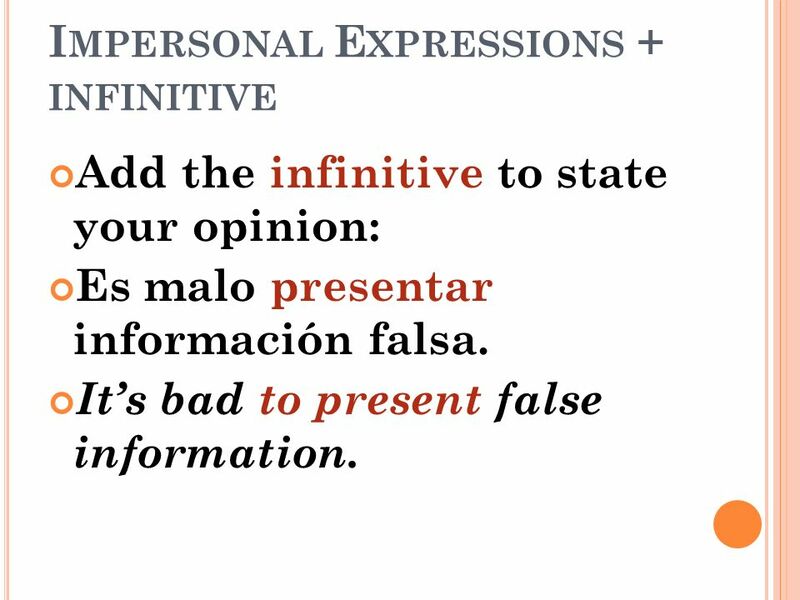 Add the infinitive to state your opinion: Es malo presentar información falsa. It’s bad to present false information. Fue bueno entrevistar al director. It was good to interview the director. 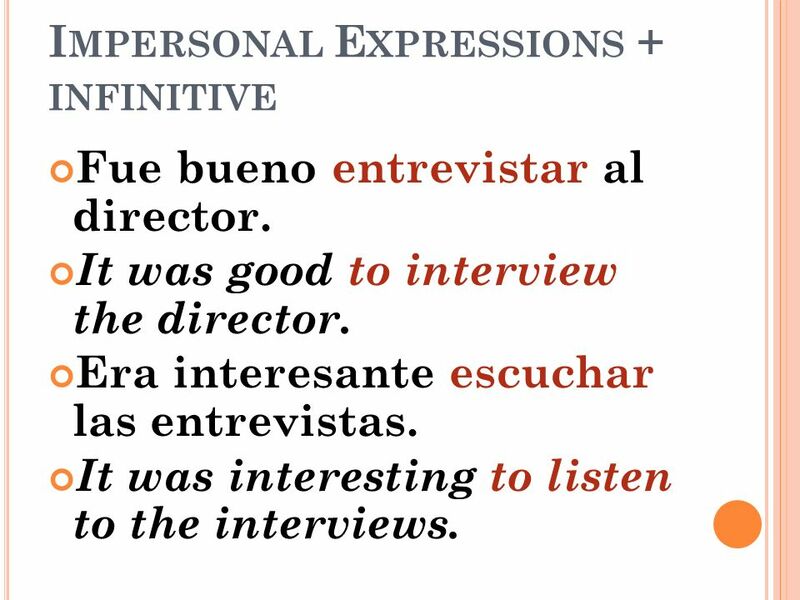 Era interesante escuchar las entrevistas. It was interesting to listen to the interviews. 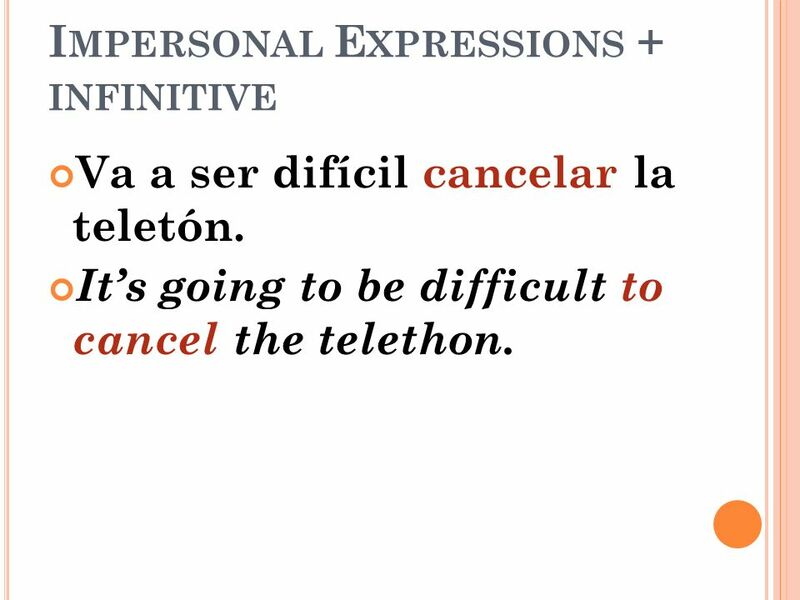 Va a ser difícil cancelar la teletón. It’s going to be difficult to cancel the telethon. 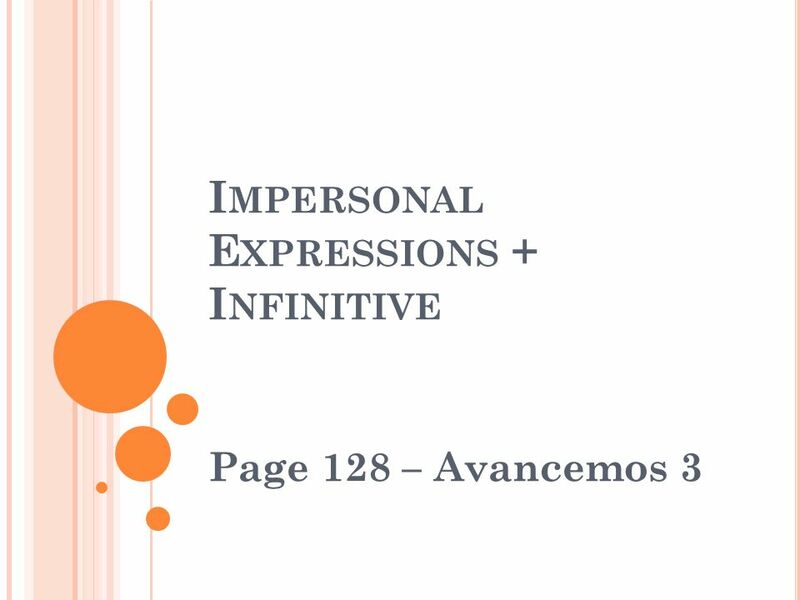 Download ppt "Impersonal Expressions + Infinitive"
Los Mandatos Tú commands: affirmative and negative. 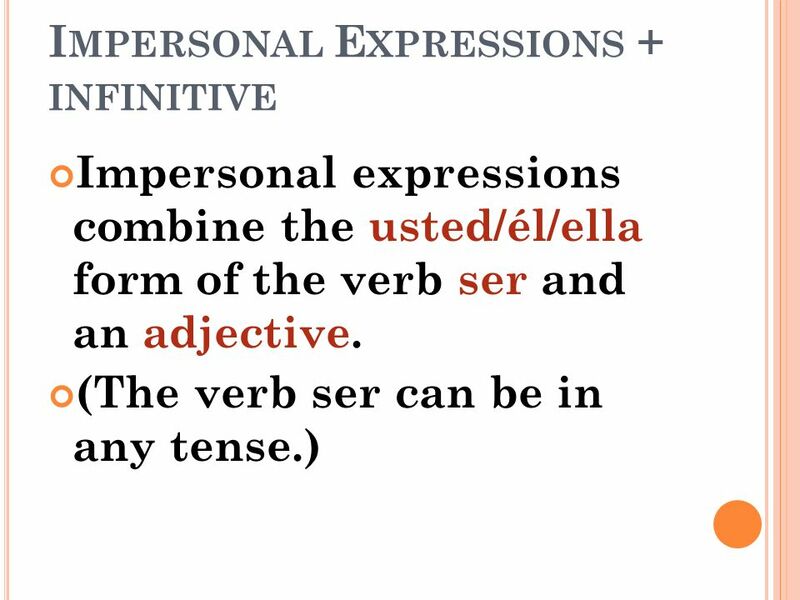 SER VS. ESTAR. 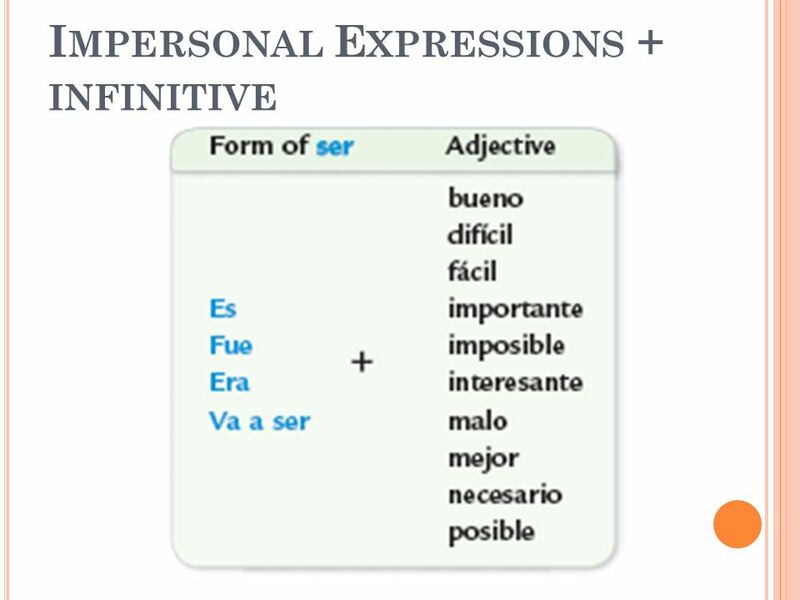 Ser & Estar = to be to be SER & ESTAR  Both can be translated into English as the verb ‘to be’. TO BE TO BE I am We are You areYou all. Jeopardy! El Condicional. You should have out your blank Jeopardy! board to follow along and also a pen or pencil.